Hey kids, did you like old photographs? Well I do, in fact I have another blog where all I do is post old pictures that I found in a box in my Mom's attic. I think my Dad found them when he worked at a retirement home and kept them. Anyway, since Im really too lazy to update both multiple times a week I'm going to start posting some of those pictures here. Here is one of my favorite pictures from the box. I posted this one a while back on the picture blog, but it's so good I decided to post it again. Here's what is written on the back. 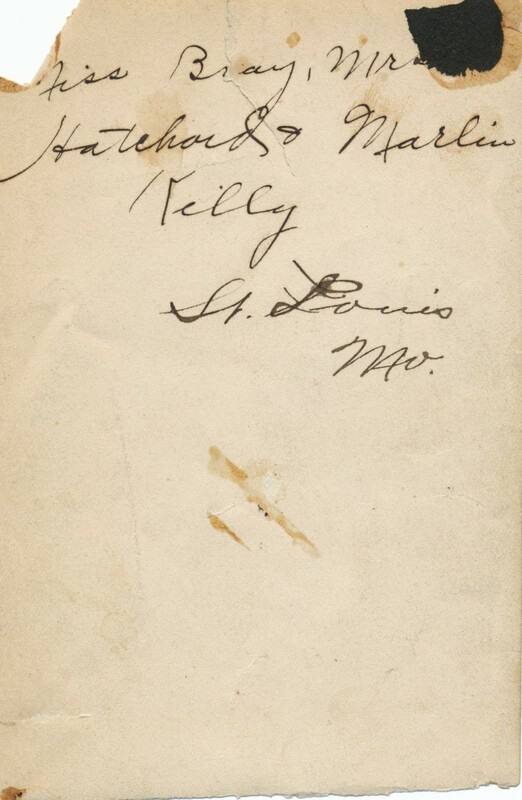 I looked at old St. Louis photos and I guessed it was the State Hospital. Well I sent the picture to a St. Louis Historical Society and they actually researched it for me! 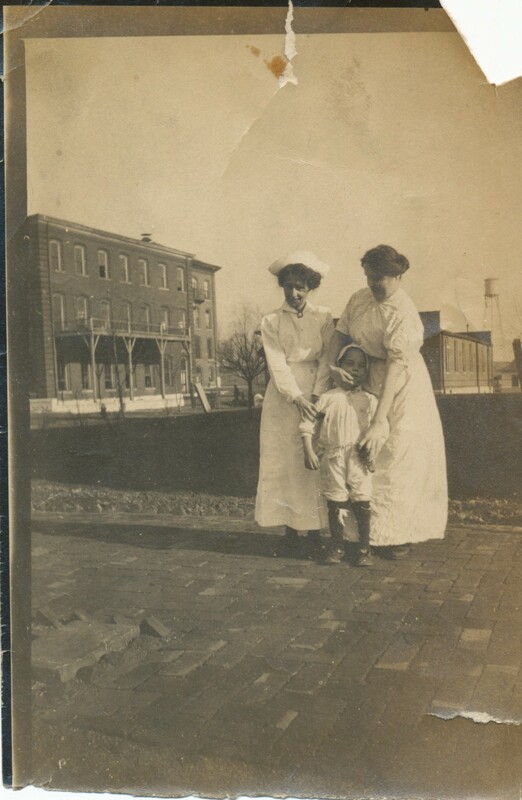 I did some research on your photos, and I think they are of the City Infirmary which was located at 5900 Arsenal Street. It was also called the City Isolation Hospital and U.S. General Hospital #40. It was on the same street as the State Hospital (5300 Arsenal Street), so you were very close! The architecture matches some photographs we have of the City Infirmary much more closely than that of the State Hospital. 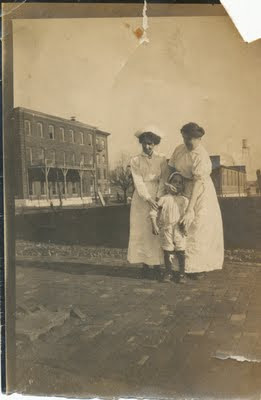 I also looked up the names of the nurses from the back of your photo in a 1914 City Directory and found a Bessie Bray listed as a nurse, an Alice Hachard listed as a housekeeper, and a Nellie Hatchard listed as an attendant all at the Infirmary. Hope that answers your question. I enjoy solving these sorts of mysteries, so thanks for the challenge! So there you have it kids, More posts coming your way, not necessarily Disney related, but in my opinion still pretty neat. Cool vintage pic, Donnie! It's also cool that you thought to write to the Hisorical Society and that they were able to come up with so much info. When I first saw the picture I thought it might be a mental institution or something so after looking through a bunch of old St Louis websites I decided to ask a pro.